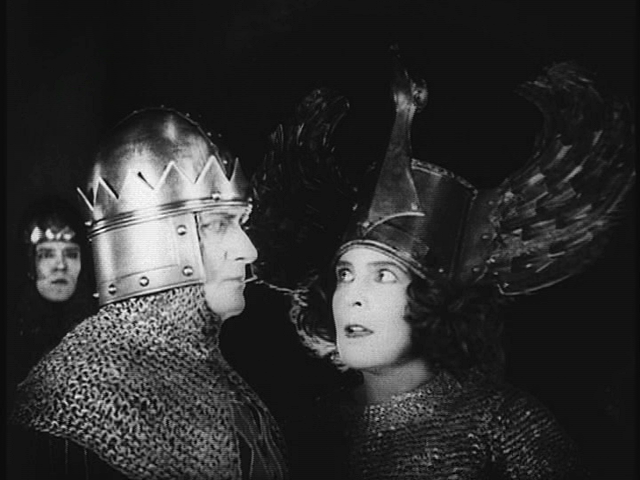 While traveling to Worms to propose to Kriemhild (Margarete Schon) — the sister of King Gunther (Theodor Loos) — Siegfried (Paul Richter) kills a dragon and becomes invincible in all but one spot by bathing in its blood; he also captures the dwarfish Nibelungen’s hoard of treasure, and acquires a magic helmet which makes him invisible. 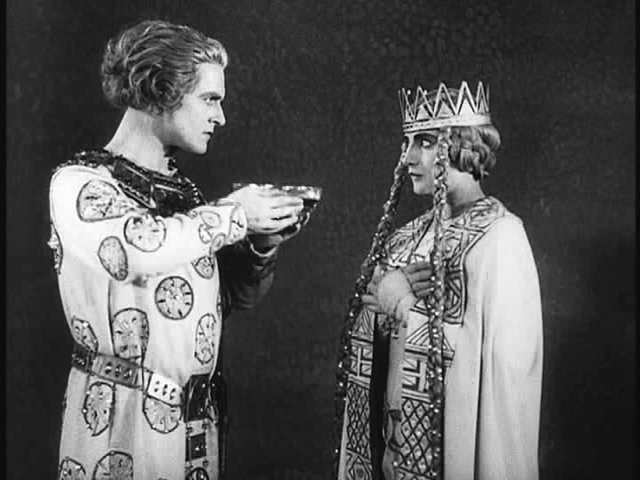 In payment for Kriemhild’s hand, Gunther asks for Siegfried’s help in winning the mighty Brunhild (Hanna Ralph) as his wife — but when Brunhild discovers that Siegfried has used magic to trick her into marriage, she seeks revenge, enlisting the help of Gunther’s treacherous half-brother, Hagen Tronje (Hans Adalbert von Schlettow), to murder him. 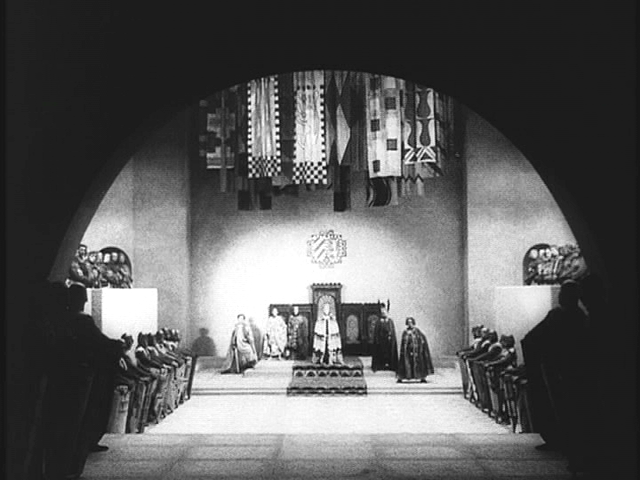 This first installment of Fritz Lang’s two-part, five-hour saga — based on an early 13th century Norse epic poem — is, as Peary notes, “a marvel, one of the truly great silent films, and one of the most spectacular ventures into fantasy and legend” that has ever graced the silver screen. 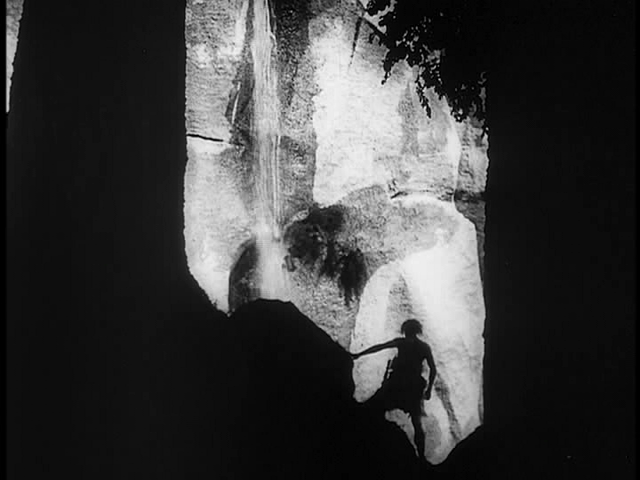 It’s full of countless memorable moments and images — all stunningly choreographed and framed — with its expressive sets and cinematography evoking “the paintings of Swiss Romanticist Arnold Bocklin” (who also inspired the set of Skull Island in 1933’s King Kong). 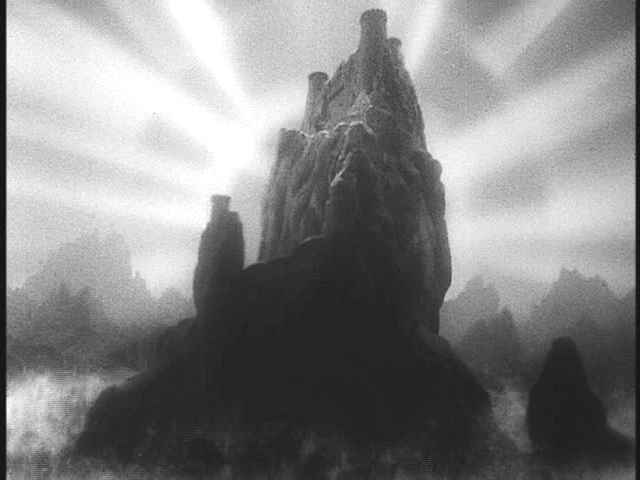 The story itself is consistently exciting, “subtle enough for adults and magical enough for kids”, and many of the special effects remain impressive. 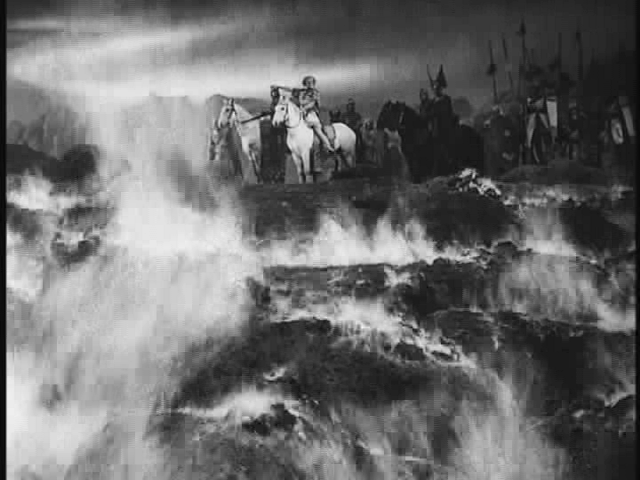 While I’m not a fan of the early dragon fight (it’s hard not to laugh when we see “blood” gushing out of the hole Siegfried pokes in its cardboard side), many other fantasy scenes — including Siegfried’s use of magic to help Gunther fight against Brunhild, and the Nibelungen dwarves turning to stone — are noteworthy. 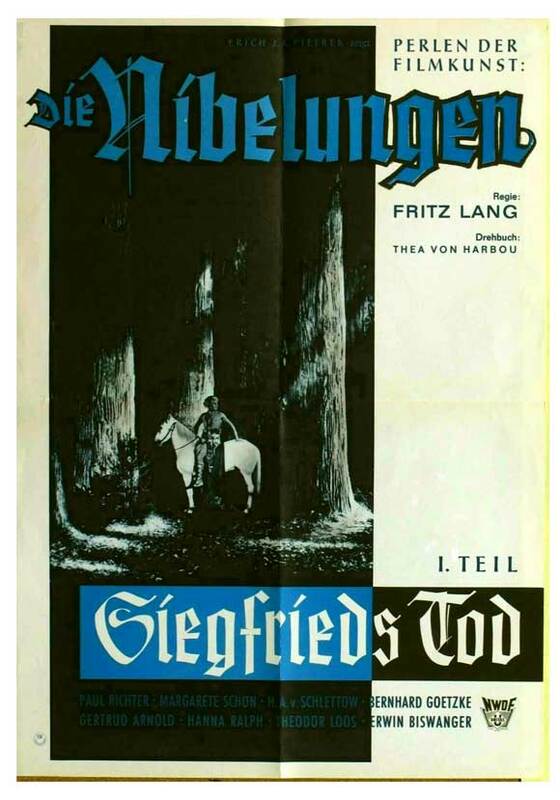 Although Siegfried is ostensibly about its titular hero, it’s interesting to note that strong females play an important part in both this film and its sequel (Kriemhild’s Revenge). Brunhild is a no-holds-barred warrior woman who surrounds herself with a bevy of female associates; and while Peary notes that she “harbors a secret love for Siegfried” (a fact which is apparently borne out in the original story), it’s not made explicit here. 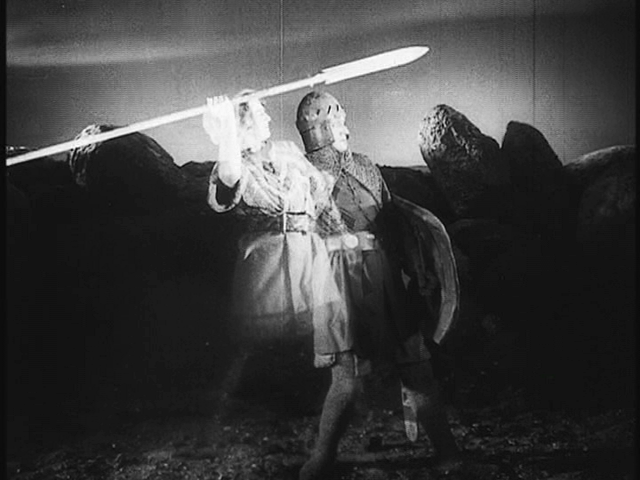 Instead, Brunhild comes across as simply a powerful female who resents being forced to marry and give up her independence; significantly, it’s her actions and motivations which propel the tragic final half of the film. 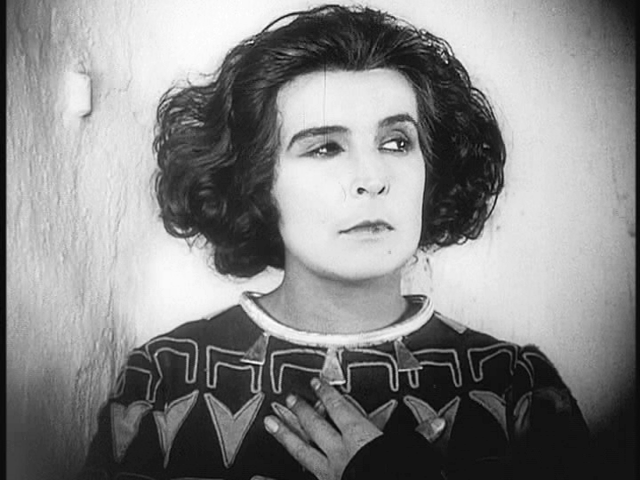 It should also be noted how androgynous the leads appear: Margarete Schon and Hanna Ralph are positively transgendered, while Siegfried — with his wildly poofed-out hair and dramatic make-up — makes for a somewhat “feminine” counterpart. 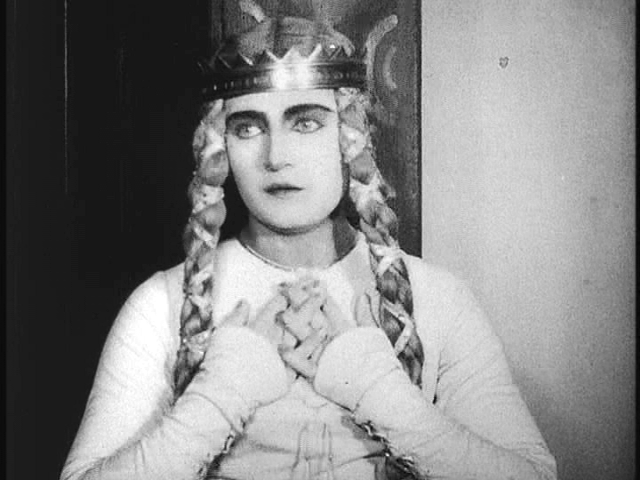 Ultimately, then, Siegfried remains a mythic tale of larger-than-life beings who transcend traditional gender roles, instead embodying core human emotions and values. Yes. This early cinematic masterpiece should be seen by all film fanatics. First viewing. 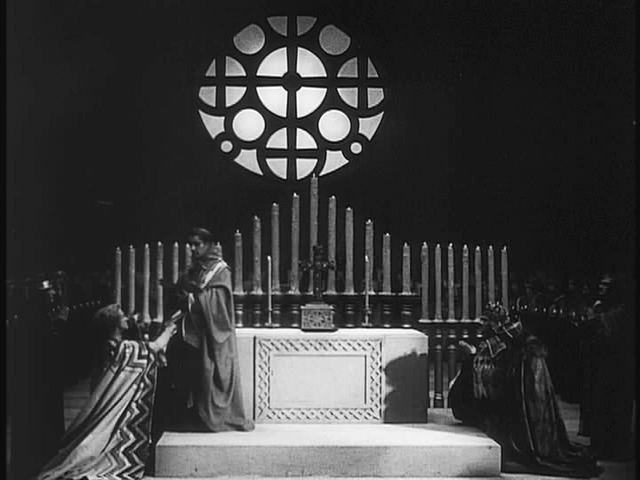 A must – for its firm place in cinema history, and as an extremely ambitious and standout silent. The assessment more than covers what’s notable. 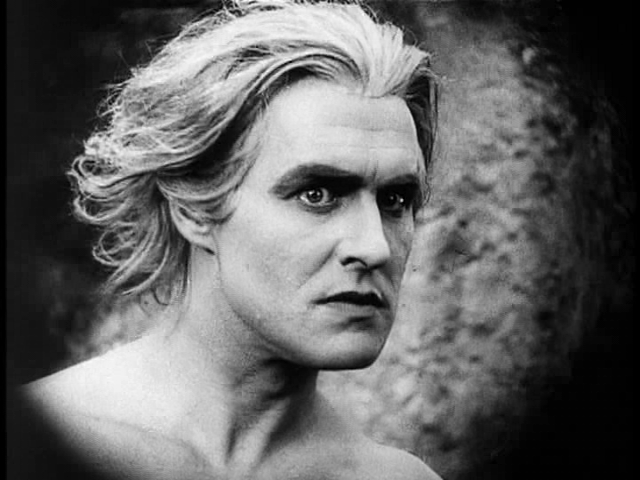 I tried watching this a few times and was having difficulty – not generally being a champion of silents, since I feel the power of so many of them has diminished. Then it came to me: ‘Siegfried’ plays like opera. And generally opera doesn’t ‘speak’ to me. Sooo, I played the disc on my computer – notching the speed up twice. Surprisingly, it caused the film to play more like film and less like opera; the characters simply moved at a pace a bit more modern. I probably admire the film more than I find it thrilling. That said, it is very impressive in its visual sense of space and spectacle. Hanna Ralph, as Brunhild, easily has the showiest role (she even gets to say things like “Make way for the Queen of Burgundy, vassal woman!”) and, indeed, makes the most of it. Verrry Mercedes McCambridge. 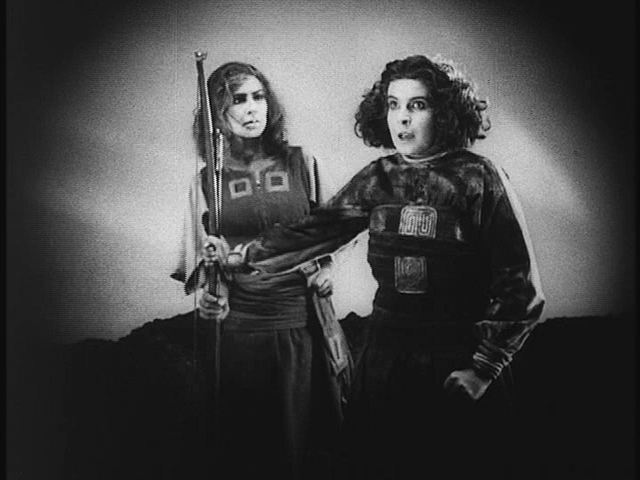 And she’s tops in my favorite scene: when Siegfried – ‘as’ Gunther – breaks Brunhild’s will.